This project is a pair of extensions, one major and one minor to an existing, single fronted Victorian timber terrace house, one of a matching pigeon pair. 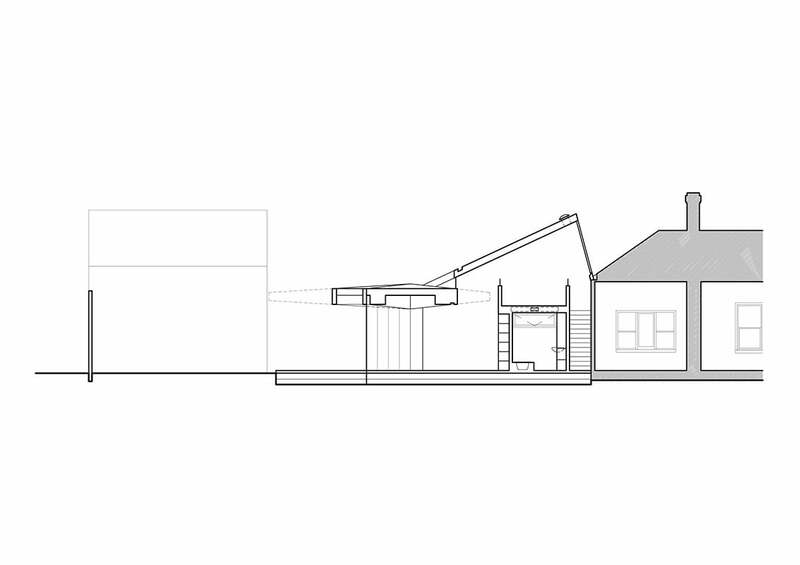 The minor extension is an ensuite to the side of the existing master bedroom whilst the major extension to the rear contains a new bathroom, laundry and store with mezzanine study space above, opening into the new kitchen/living area, outdoor deck and backyard beyond. The required additional built volume is squeezed from the original house as if toothpaste from a tube. These volumes are then acted upon by the forces of built form and open space within the immediately adjacent context and its demand for private, open, unshaded space. 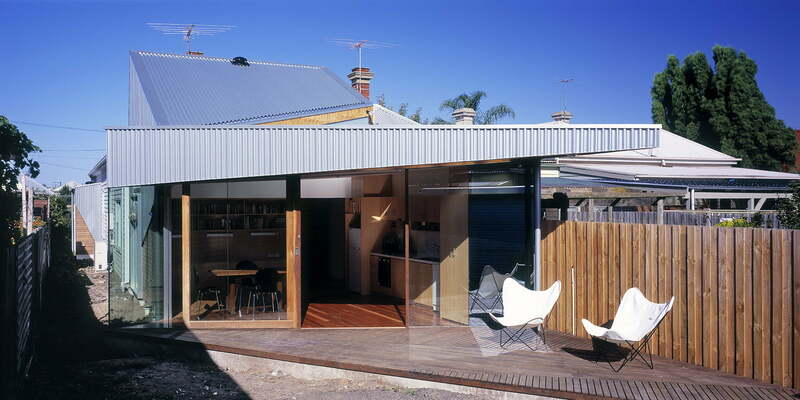 Double storey volume builds against parapet walls, boundary walls and fences, but is flushed away where adjacent to neighbours backyards achieving maximum volume where required with least possible impact on adjacent neighbours and the private open space of the dwelling itself. The shaping of built form according to these spatial forces of the surrounding context, are evident throughout the project both inside and out. 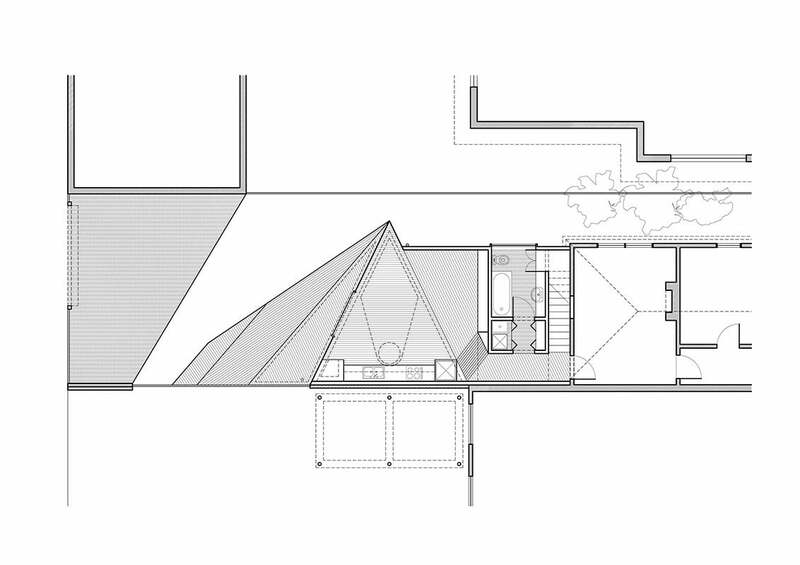 Volume flows from the existing house into the new, reaching up to the mezzanine study, then dropping down toward the backyard. 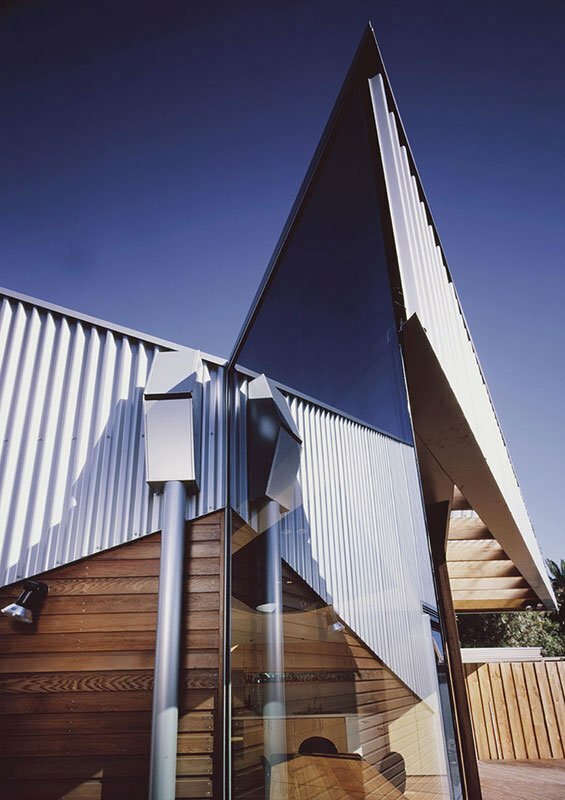 Where no longer contained by the party wall to the southern neighbour, a tear is formed in the roofline and the building form is stretched to its triangular apex on the north. 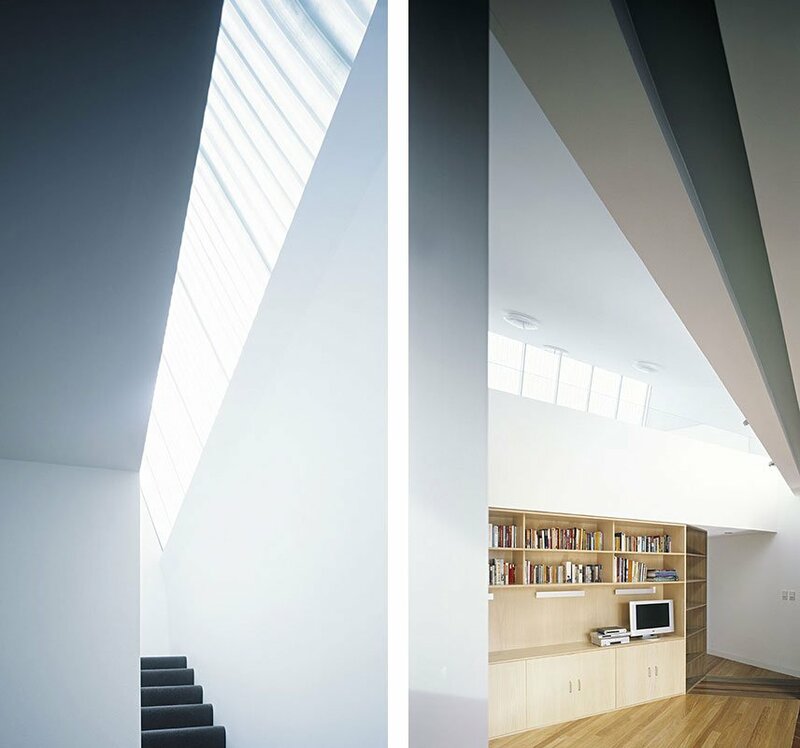 This apex stretches far enough to glimpse a view down the northern sideway and draws these spaces into the life of the house. 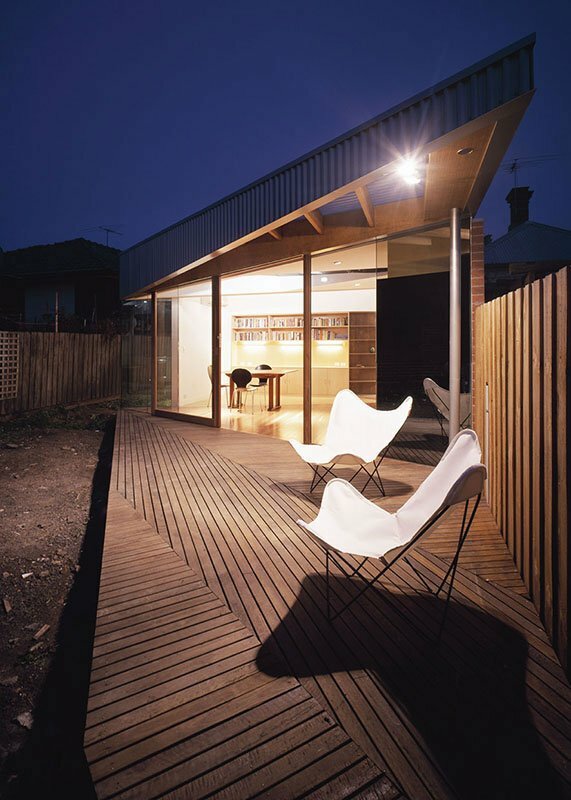 At this point, the diagonal corridor of open space between the neighbours backyards become dominant and flush away the built form to roof canopy and deck. 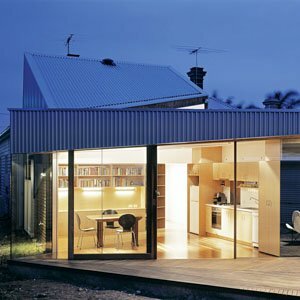 The resultant forms are further split into solid and void with metal cladding as solid, and cedar cladding giving way to glazing as void. 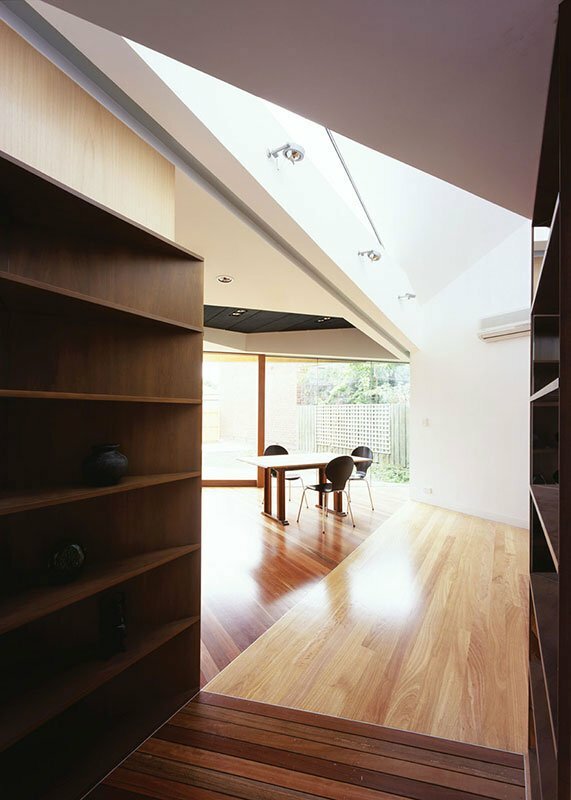 The kitchen skylight, an obstruction to the flow of volume, creates a deepening ceiling coffer which expands the sense of space within the living area, whilst a tear is formed between the kitchen and living room joinery where a patch of external decking is exposed internally. 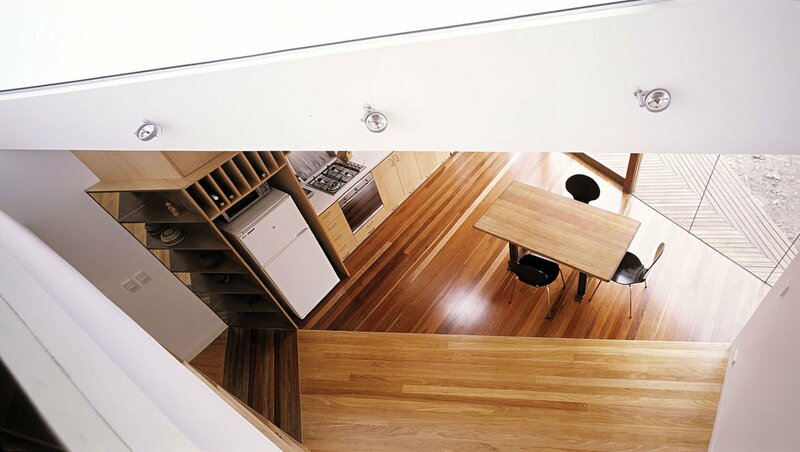 This forms an entry threshold to the kitchen/living space and arrests the axis of the long entry hallway. The western orientation of the site provides inherent difficulties with late afternoon heat gain. Whilst the building generally ‘closes down’ to the west, there remains a substantial area of glazing on the ground floor to maximise the connection to the backyard. A full length horizontal pelmet provides for blinds that screen this western glazing when required, whilst still allowing a view out. 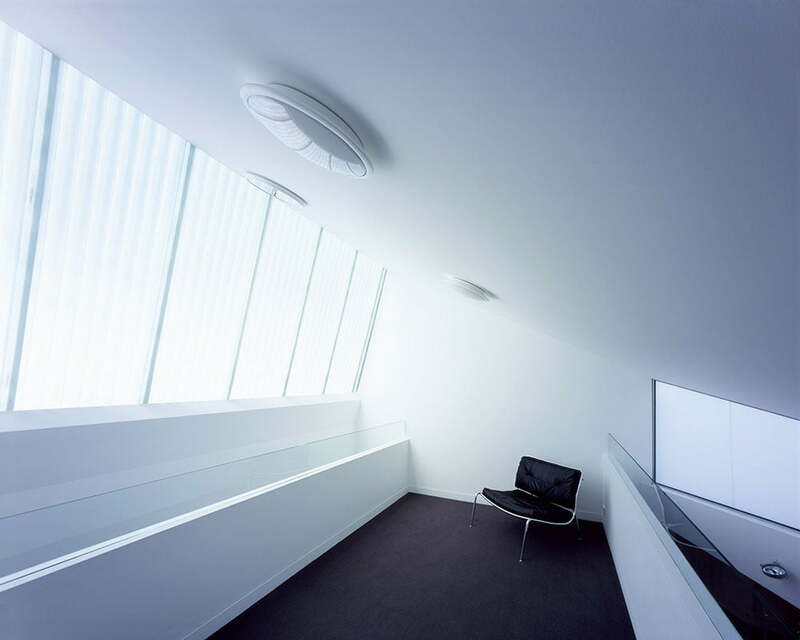 The fibreglass walling to the mezzanine is double glazed, an openable roof vent is provided to the apex of this space and a reverse cycle air conditioner is installed for summer and winter use as required.